WASHINGTON — The deaths of four U.S. soldiers in Niger on Oct. 4 caused many Americans, including U.S. senators, to question why American troops are operating in the small West African nation. As details of the event begin to trickle in, a once shadowy mission is coming to light. U.S. officials have described the operation in Niger as a train, advise and assist mission, not much different than U.S. operations in Iraq, Syria and Afghanistan, where thousands of U.S. troops are training local forces to fight extremist forces. “When we’re conducting these kinds of operations, which we call ‘train, advise and assist,’ we don’t in the normal course of events accompany those local partnered forces when contact with the enemy is expected,” Chairman of the Joint Chiefs of Staff Gen. Joseph Dunford told reporters at a televised briefing at the Pentagon on Monday about the incident in Niger. Officials at U.S. Africa Command (AFRICOM) have routinely echoed those sentiments, describing U.S. operations in Niger as capacity-building missions to train Nigerien forces to tackle extremist and terrorist groups within their own borders. But the U.S. mission in Niger is by far the largest in West Africa and includes more assets generally associated with U.S. counterterrorism missions seen in places like Afghanistan, Iraq, Somalia and Syria, where U.S. intelligence drones, troops and strike assets, hunt, target and kill high-value terrorists. The incident in Niger that left four U.S. soldiers dead is now calling into question whether U.S. officials have been transparent with the public about the full scope and intentions of the mission in the impoverished West African nation. 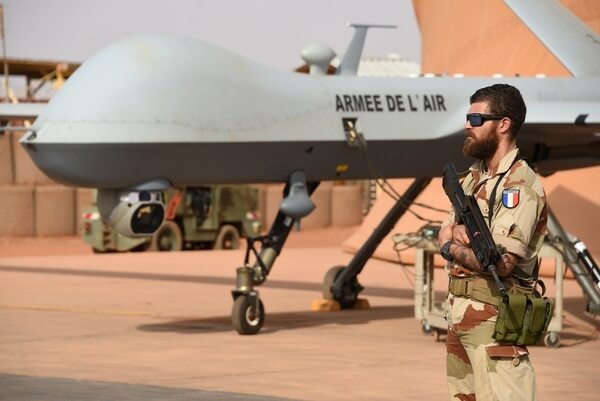 Niger is host to about 800 U.S. service members spread across Niamey, the capital, and Agadez, where the U.S. is constructing a large drone base that will house U.S. MQ-9 hunter-killer drones. That airbase is still under construction, according to U.S. officials at AFRICOM. Officials at AFRICOM would not confirm whether U.S. drones operating out of Agadez would be armed but left open the possibility that the drone base may serve U.S. strike assets targeting terrorists across the Lake Chad Basin. However currently, there are no armed U.S. strike assets in West Africa, according to Samantha Reho, a spokesperson for AFRICOM. U.S. forces operating in the region have to rely on French strike aircraft such as Tiger helicopters, French Mirage jets or Reaper drones operating out of several French airbases in Mali, Chad, and Niger. Even if U.S. drone assets are not armed, the sprawling airbase under construction will house Nigerien aircraft where intelligence collected by U.S. assets could be provided to Nigerien forces to target high-value terrorists or extremist groups threatening the country. The U.S. has slowly been building the capability of the small Nigerien Air Force. Niger acquired a C-130 Hercules transport plane through the Excess Defense Articles program, which allows foreign countries to acquire excess U.S. military equipment to help modernize American partner forces, and four Cessna 208s through Title 10 security cooperation funds, Reho told Military Times. The C-130 and two Cessnas were acquired in 2012, and the other two Cessnas were acquired in 2015. Niger also boasts attack helicopters to include three Russian Mi-17s that can be outfitted with rocket pods, one Russian Mi-24 helicopter gunship, three French SA 342 Gazelle helicopters and two Russian SU-25 ground attack jets for close air support, according to data provided by Flight International. U.S.-supplied Cessnas are multirole fixed-wing planes that can serve as transport or an ISR platform to collect intelligence and targeting information. The planes have been vital to counter-insurgency operations in Iraq and Afghanistan, where the aircraft have been used for collection operations and transport. The planes can also be modified to fire rockets. 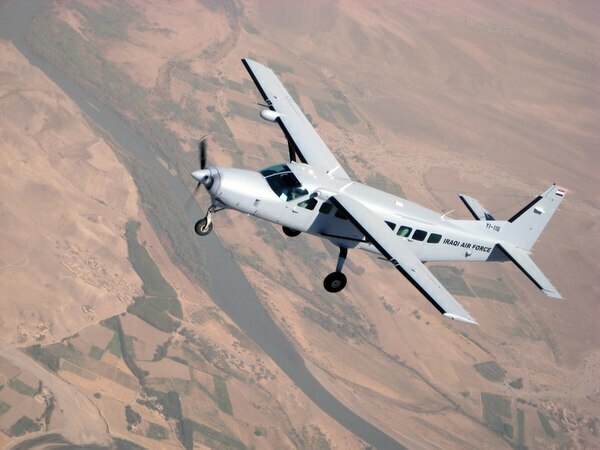 Afghanistan is slated to receive attack versions of the Cessna in about a year. The size and the scope of the U.S. mission in Niger more closely mirrors a small footprint counterterrorism mission. “The U.S. military mission in Niger should be classified as a low-key counterterrorism mission and not a train, advise, and assist mission,” said Bill Roggio, a senior fellow at the Foundation for the Defense of Democracies and editor of FDD’s Long War Journal. “With U.S. Special Forces patrolling with Niger forces, and an air base that is used to hunt terrorist groups in the region, this is much more than a training mission,” Roggio said. Furthermore, the U.S. mission in Niger doesn’t just serve the interest of Nigerien forces but all U.S. partner forces in West Africa and the Lake Chad Basin region. West Africa and the Lake Chad Basin region have been plagued by instability and a multitude of Islamist insurgent groups and terrorists. The fall of Moammar Gadhafi’s regime in 2011 at the height of the turmoil from the Arab Spring has flooded much of the region with heavy weapons, machine guns and rockets from Gadhafi’s once massive armories. As a result, U.S. forces have been active throughout West Africa, helping build the capacity of host nation partner forces to secure loose borders and ungoverned spaces where these nefarious organizations thrive. U.S. intelligence assets also help relay information on movements of these groups to partner forces operating in the area. 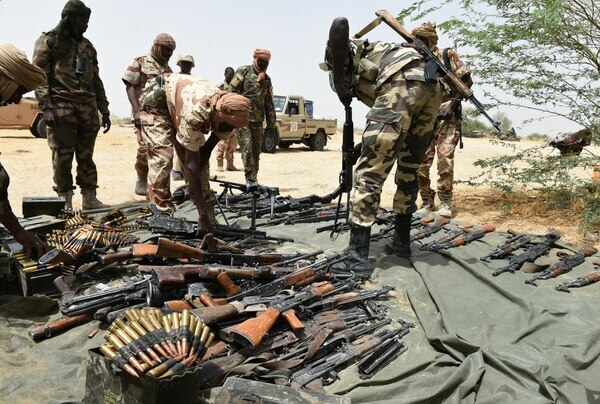 Terrorists groups in the region include “al-Qaida’s rebranded Mali-based regional affiliate Jama’at Nusrat al-Islam wal-Muslimin and ISIS in the greater Sahara threaten Mali and regional governments in the Sahel,” Mack said. “JNIM is as an umbrella organization of regionally focused terrorist groups, including al-Qaida in the Lands of the Islamic Maghreb, Sahara Emirate, al-Murabitun and locally focused groups the Macina Liberation Front and Ansar al-Din,” she added. ISIS in the greater Sahara operates primarily near the Niger-Mali border where U.S. troops were ambushed. Dunford told reporters on Monday that he believed ISIS was the primary suspect in the attack on the joint U.S.-Nigerien force patrol. “They [ISIS] try to leverage local insurgencies and connect those local insurgencies globally. This is the challenge that we’re dealing with,” Dunford said. 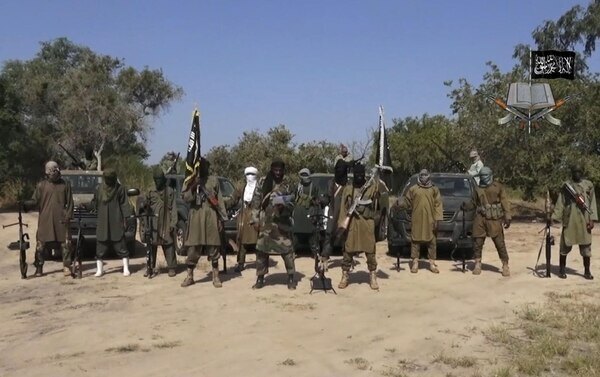 Boko-Haram, a terror group primarily based out of Nigeria, has also been known to conduct attacks in the Lake Chad Basin region. However, U.S. missions in neighboring countries pale in comparison to the operation in Niger. In Mali for instance, only a small handful of U.S. special operators are assisting with intelligence collection and dissemination. The task force in Chad is focused on countering Boko-Haram and ISIS-West Africa, she added. And in Nigeria, U.S. troops number less than 50, according to Reho. Their mission is centered on “assisting in enabling the Nigerian military and improving capacity and capabilities through security force assistance,” Reho explained. With 800 troops in Niger, and just a handful in surrounding areas, the country serves as a central hub for intelligence collection and dissemination and U.S. counterterrorism operations in the region. “Security threats in the region underscore the need to conduct continuous [ISR] in West Africa and to share information with partners conducting operations in the region,” Mack said. 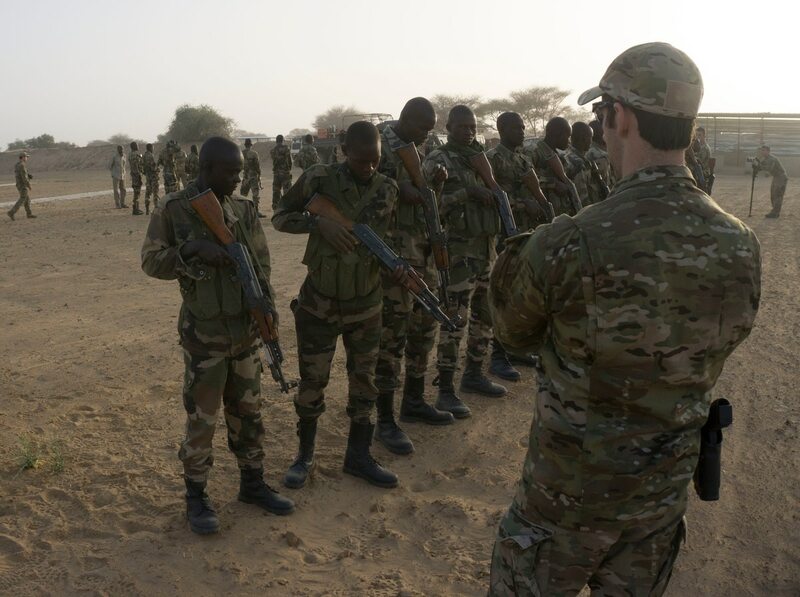 U.S. officials continue to sell the U.S. mission in Niger as a small training operation, but the equipment, forces and scope of the operations have the hallmark of an active counterterrorism mission that is hunting and seeking out terrorists. When U.S. forces were ambushed on Oct. 4, they were actively conducting a reconnaissance patrol with Nigerien forces to gather information. Few details of the mission’s intent have been made available to the public. Officials at AFRICOM have refused to confirm whether U.S. forces in Niger have advised Nigerien forces in an active combat or assisted with the capture-kill of terror leaders prior to the ambush in October, citing operational security.